This is about my third/fourth order from LSC. Their products are always top notch and this order continued the trend. 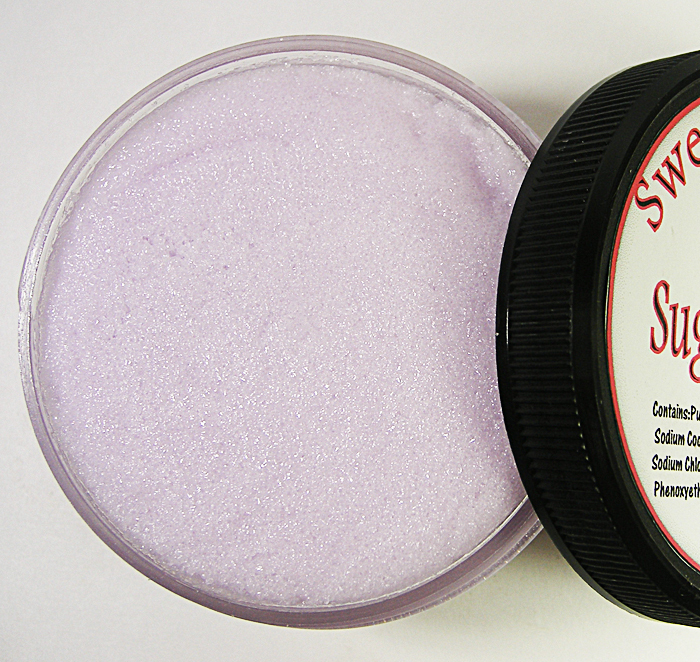 --smells like herbal lavender and fluffy marshmallows! Quite different from Haunt's same scent, but still very nice. --Gah this smells delicious! Tart, fruity, and sweet! I bet this will be a huge thrower! Lemon Drop Cotton Candy (LSC MIX)...Tart Juicy Lemons and Sticky Sweet Cotton Candy. --oo this is yummy! Sweet sticky candied lemons, hundreds of them! Very strong and delicious smelling! Cake Batter Ice Cream....A Delicious blend of Rich Cake Batter, Sugar cane and Sweet Creamy Vanilla. --Very vanilla and caramelly. Super sweet! --a juicy tart blackberry sweetened up by the candy! I am getting vanilla base in this too. Banana Chocolate Chip Bread (LSC MIX)...One of my favorites.. Warm Banana Nut Bread loaded with melting Chocolate Chips..THANK YOU Jennifer L.for suggesting this awesome smelling blend. --Jenni(from MUA) you did a great job with this suggestion and Pam interpreted it into a tart so well! I can smell the chocolate, the banana and the bread! I am guessing this one is a pretty strong thrower too! 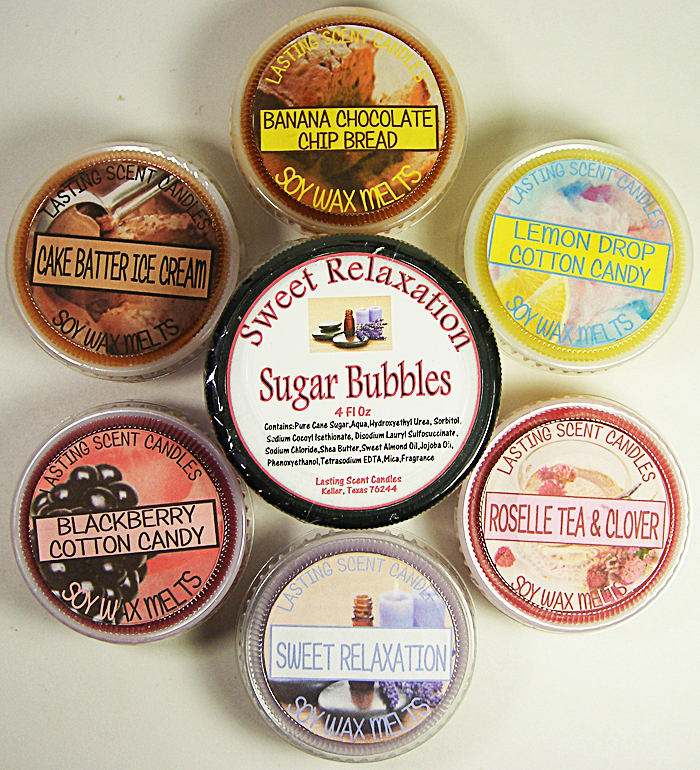 Sweet Relaxation is the scent I chose for the scrub. I just had to try it out so I could compare it to other favorites of mine. And lemme tell ya, definitely in my top three favorites! First, the scent is very strong and really opens up with the addition of water as I scrubbed. Tons of sugar in this, so it scrubbed for a good while and it started lathering up way before the sugar was dissolved. First, I didn't add much water, just passed one hand through the running water to get started. The scrub lathered up into something like a heavy creamy shave cream! So then I added a little more water, in the same manner as before and I got bubbles!! bubbles everywhere! Soooo foamy and velvety! I didn't want to wash it off! I scrubbed a while til the sugar dissolved then rinsed clean and patted my hands dry. Had to sniff then, to see what lingered; and WOW! My hands smell delicious! Quite strong, compared to what most scrubs leave behind. If you're a scrubbie addict, I definitely recommend trying LSC scrubs, you'll be soooo glad you did!